Cartoon Networks Rick and Morty is a strange and wonderful show, made stranger by Scary Terry. 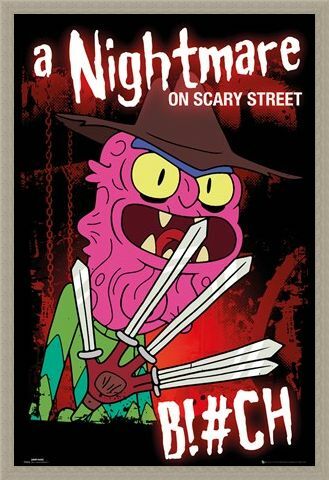 Originally seen in comic strip 'Mortballs' and the TV episode 'Lawnmower Dog', the misunderstood, self conscious monster Scary Terry looks as crazy as ever on this hugely colourful poster. 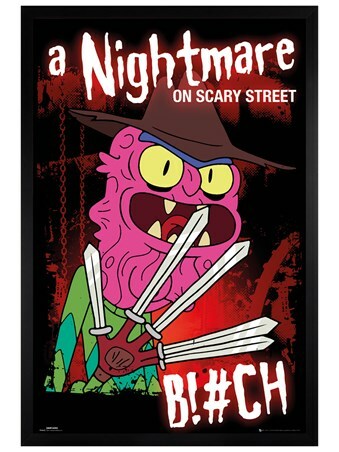 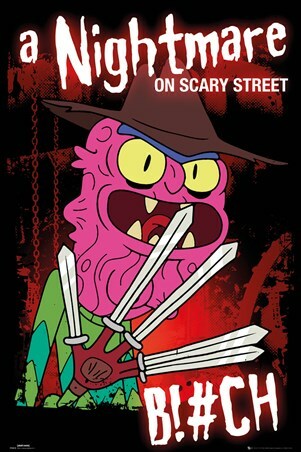 Described by Rick as 'A legally-safe knockoff of an '80s horror character with miniature swords for fingers instead of knives', this "nightmare character" will look great hung from the wall, just don't fall asleep. 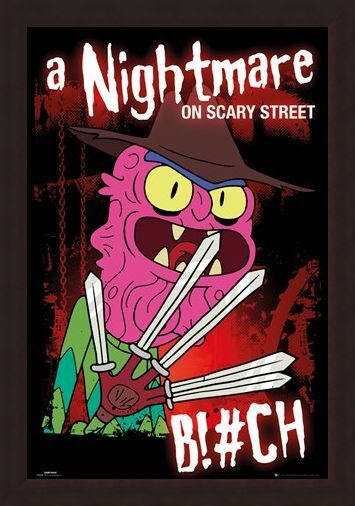 "B!#CH!" 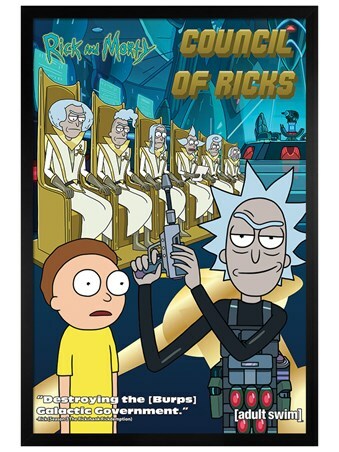 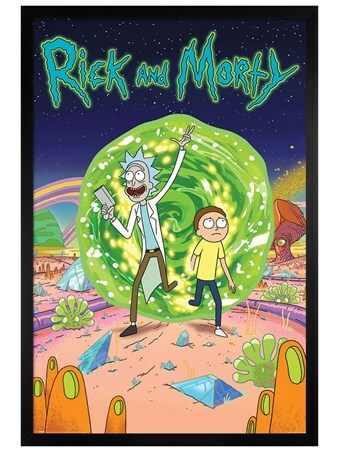 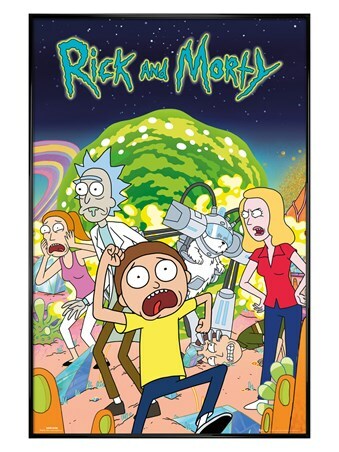 High quality, framed A Nightmare On Scary Street, Rick And Morty poster with a bespoke frame by our custom framing service.